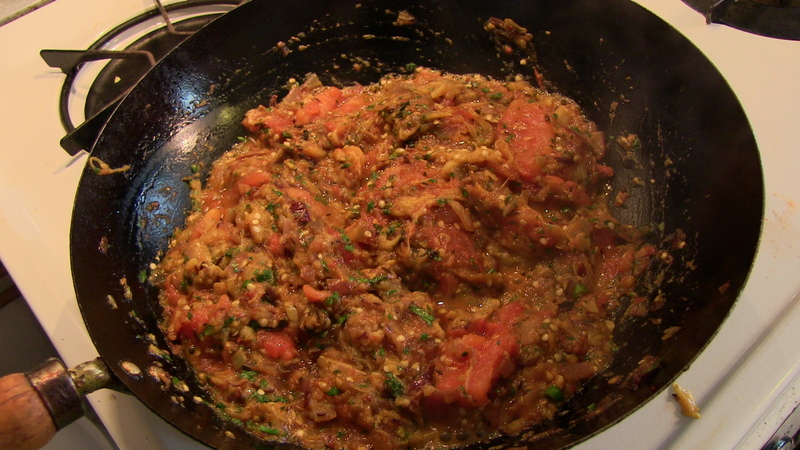 For all the fuss about restaurants, everyone knows the best meal you can ever eat is at someone’s home—especially if that someone is Leela. 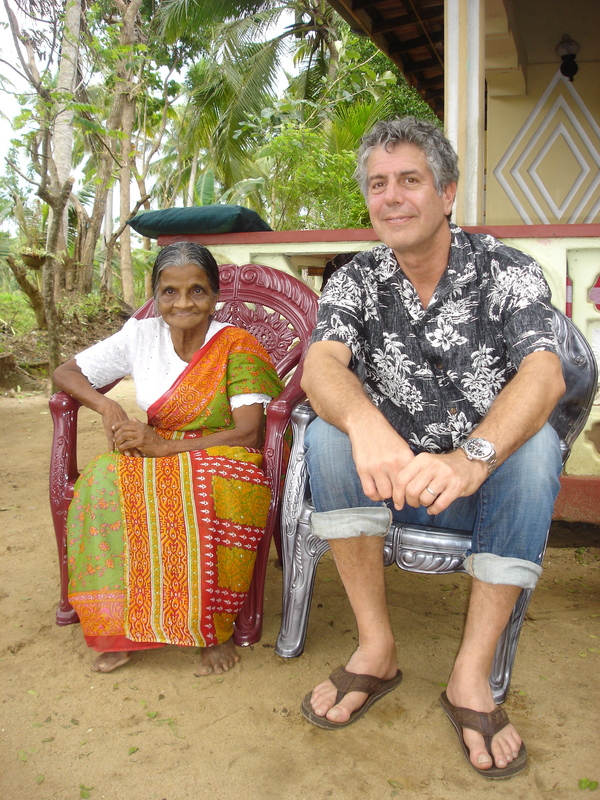 If you’ve ever checked out my blog before, or saw the Sri Lanka episode of No Reservations, you’ll be familiar with this diminutive lady, who was my Aunty Dora’s cook for 40-some years. 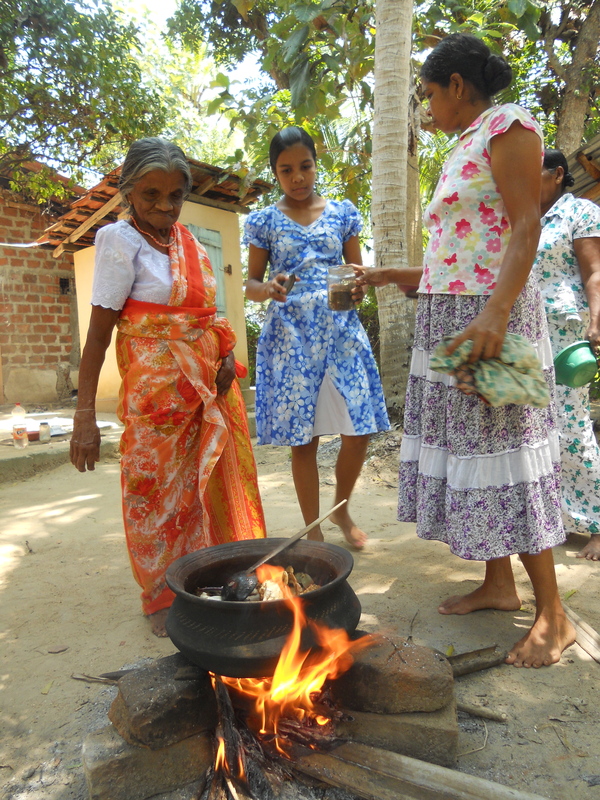 Practically every middle class family in Sri Lanka has a “Leela,” who cooks and cleans, and helps raise the children of the household on her way to becoming an actual member of the family. 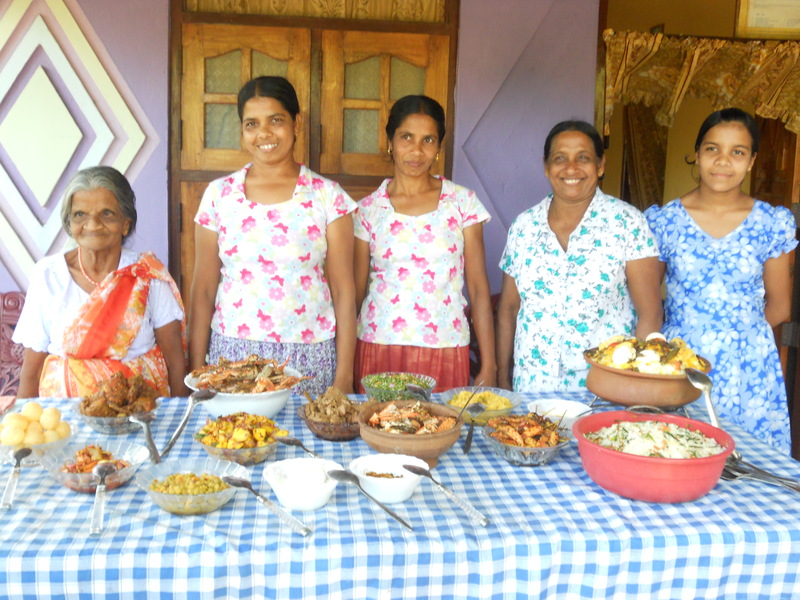 When Leela retired after so many years of faithful service, my aunt and cousin Sam and his children (who are now grown up themselves), took it upon themselves to look after her. 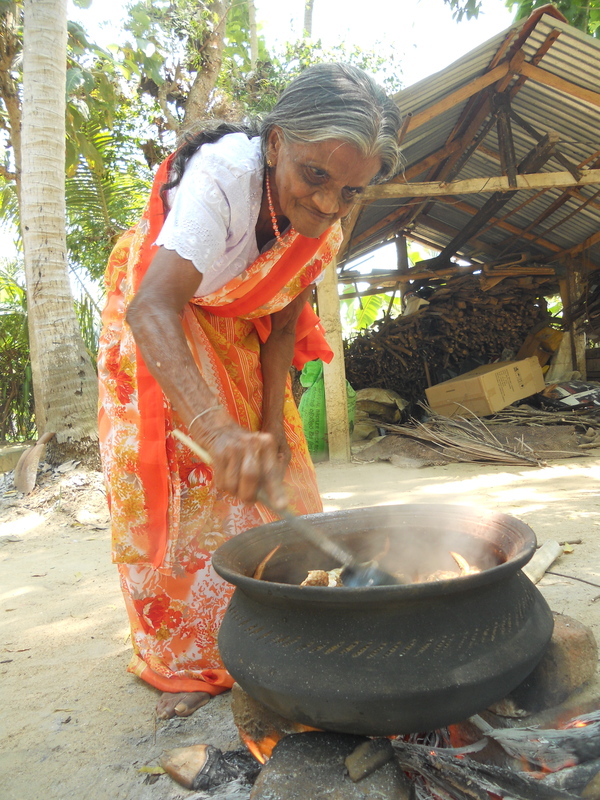 This usually involves frequent visits to Leela’s village outside the town of Chilaw, bringing her provisions and money. 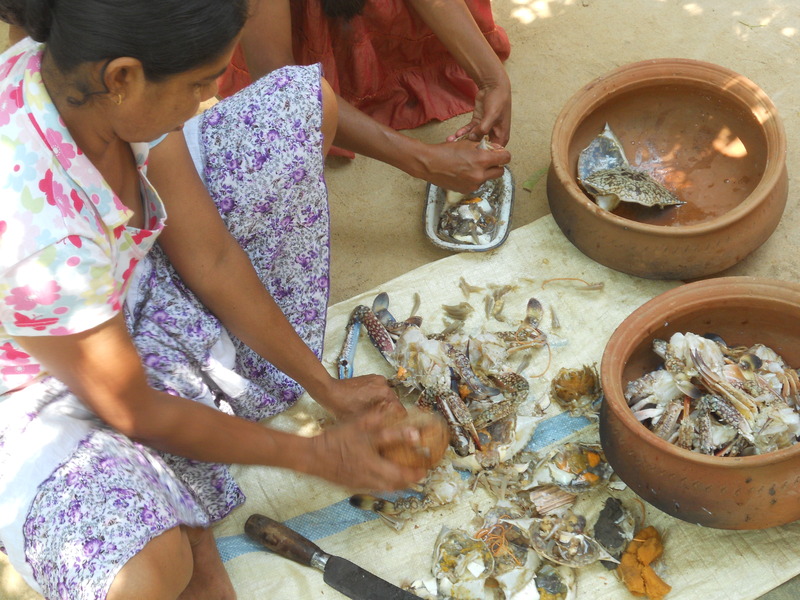 In keeping with the unwritten rules of Sri Lankan hospitality, Leela and her nieces, who live with her on a small plot of land where they grow everything they need to survive, make lunch. 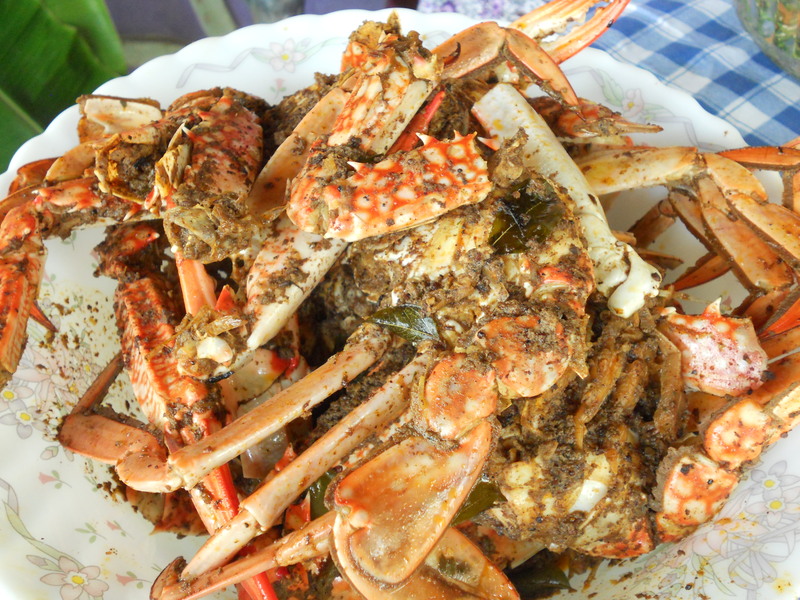 My favorite dish of Leela’s is her crab curry, which also happens to be a regional specialty in Chilaw, known for its large lagoon crabs. 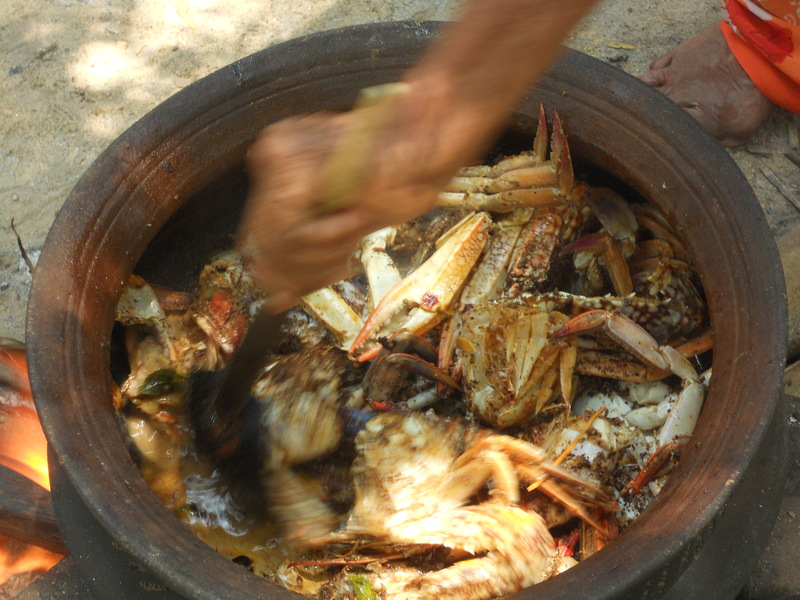 Though I recreated the recipe in my book, Rice & Curry: Sri Lankan Home Cooking (Hippocrene Books, 2011), there’s nothing like having Leela herself make it, and this is exactly what she did on a recent trip to visit her. 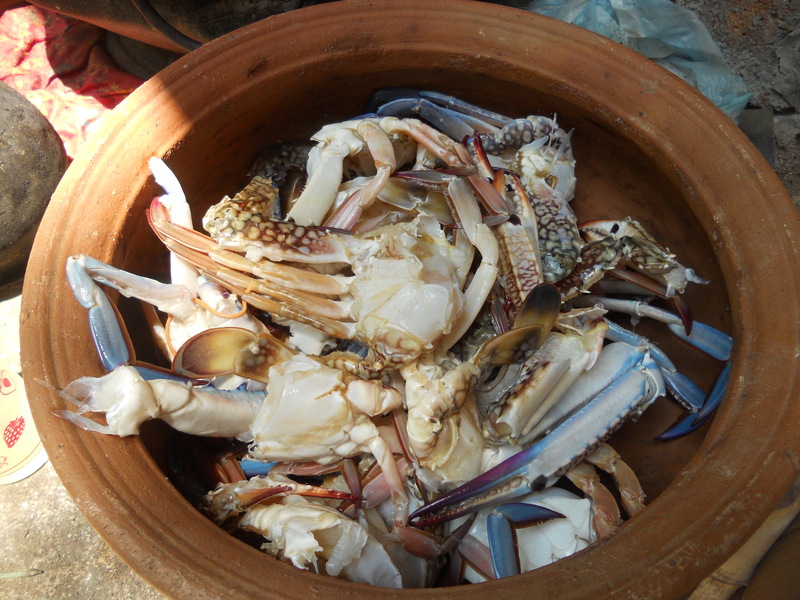 Being a good Buddhist Leela will not kill live crabs, so we brought some sea crabs from the fish market in Colombo. 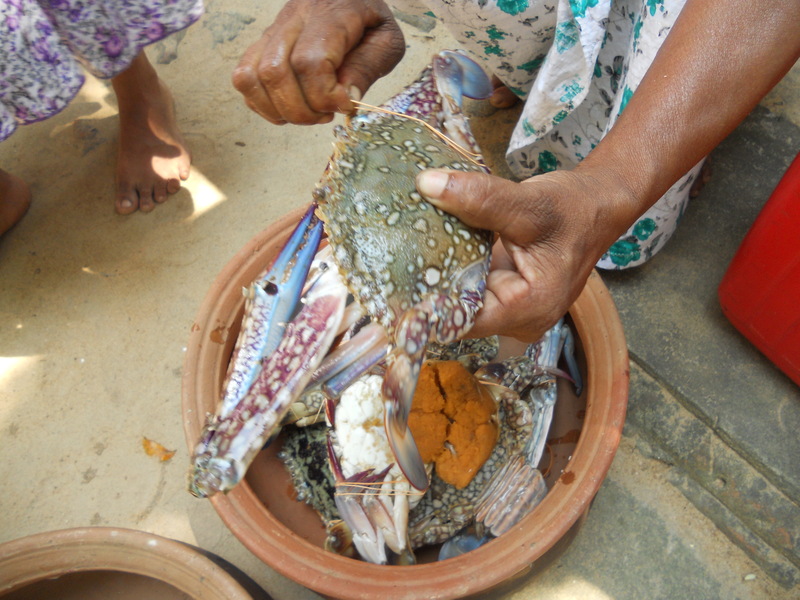 Sea crabs are usually sold dead, but you have to eat them immediately, so we packed them on ice and drove up to Chilaw so Leela and her nieces could prepare them in the traditional manner. 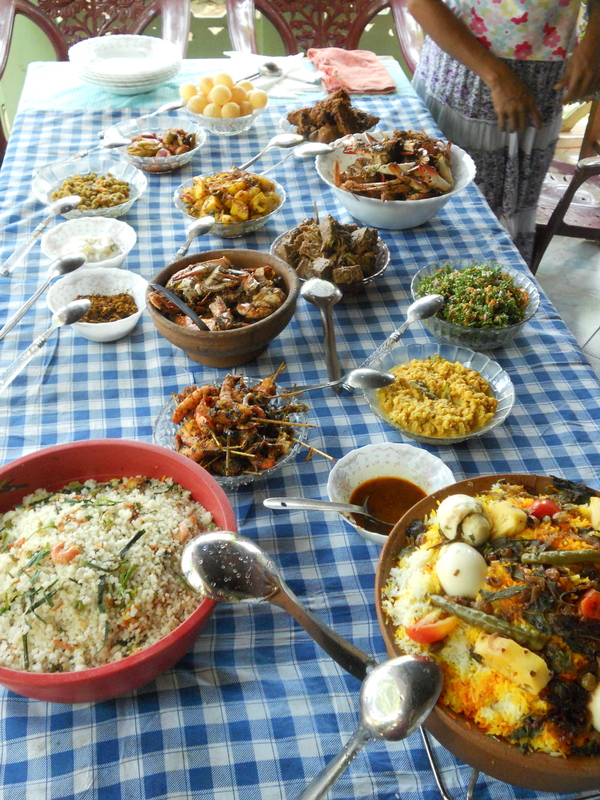 They also put up a whole spread of other tasty dishes—just like they did when I brought Tony Bourdain here, and he proclaimed it his best meal in Sri Lanka. Thanks for sharing. 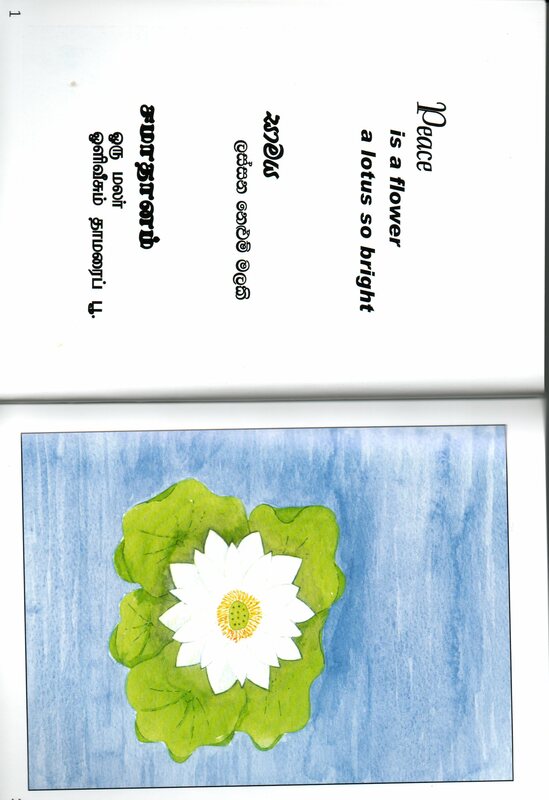 I am huge fan of Leela courtesy your book. Old post, but I just found it. 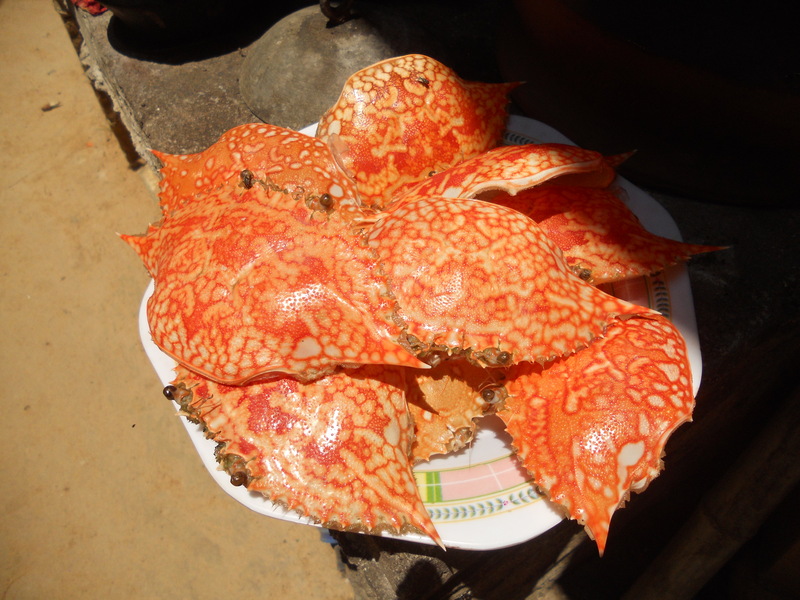 This is really awesome, me being a local I have never heard of them at all… Now I’m prone to go visit this place :D. Good blog m8.